Is it better to eat oatmeal or cornflakes for breakfast? Many of you may already know the answer to this question, but now there is another study to prove it. Researchers from the New York Nutrition Obesity Research Center at St. Luke’s Hospital, and the Department of Psychiatry at Columbia University Medical Center, fed 36 participants oatmeal, cornflakes, or water for breakfast on three different days. After each breakfast, they took blood samples to measure levels of glucose, insulin, glucagon, leptin, and a gastric emptying tracer. They also measured the amount of food eaten at lunch, 3 hours later, and assessed feelings of fullness and hunger. Fullness was highest and hunger was lowest after eating oatmeal. Participants ate less food at lunch after eating oatmeal for breakfast. Three hours after eating cornflakes, blood glucose was lower than 3 hours after eating oatmeal, showing that cornflakes do not sustain your blood glucose level as long as oatmeal does. The gastric emptying tracer peaked later after consuming oatmeal. Gastric emptying is the movement of food from your stomach to your small intestine (i.e. the emptying of the stomach). A gastric emptying tracer tells you when the emptying occurred. Foods that slow gastric emptying are beneficial to us because they allow digestion to occur more slowly. This prevents a sudden spike in blood sugar levels, and allows your body more time to absorb all the nutrients from the food. Because the gastric emptying tracer peaked later after participants ate oatmeal, that means there was slower gastric emptying (a good thing). 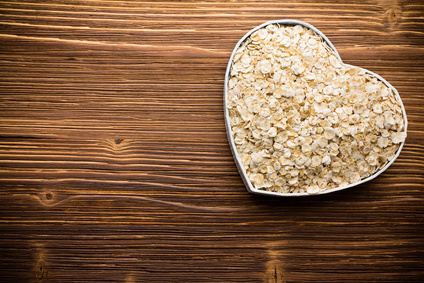 So is it better to eat oatmeal or cornflakes for breakfast? The answer according to the findings of this study is definitely oatmeal. Geliebter, A., Grillot, C. L., Aviram-Friedman, R., Haq, S., Yahav, E., & Hashim, S.A. (2015). Effects of Oatmeal and Corn Flakes Cereal Breakfasts on Satiety, Gastric Emptying, Glucose, and Appetite-Related Hormones. Ann Nutr Metab 66:93-103. DOI:10.1159/000365933. Previous Post: « Does Fructose Lead to Overeating? Well it depends on if you want to gain weight or not. Oatmeal is better for losing weight but that’s not everyones goal!